What Manuka Honey Should You Buy? Just like cars, bread, computers, and cereal, there are generally different types of the same product from which consumers can choose. Sometimes the choices are simple, like choosing the iPhone over the Samsung cell phone because you prefer Apple products, but other choices, like what type of Manuka honey you should purchase and why, can be a little more difficult. Here we will discuss some popular types of Manuka honey and how they are best used. Regular Manuka honey is un-pasteurized, pure, natural, and raw. Regular Manuka honey makes a great natural replacement for sugar in any kind of recipe and is also great for use in tea, on toast or biscuits, for cooking or baking, and even barbequing. In addition to consuming Regular Manuka honey, it can also be used for many beauty applications such as facials and facial masks. When used in this way, Regular Manuka honey is said to give the skin a smooth, silky feel while also giving a refreshing glow to the skin. 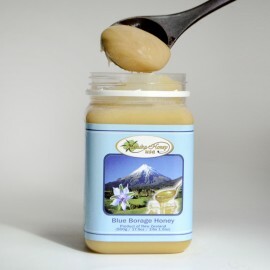 Blue Borage honey is also harvested in New Zealand but from the blue borage bush on the South Island. Blue Borage honey is very popular for baking and cooking. Oddly enough, men often seem to enjoy taste of this honey over other varieties. For this reason, it is often featured in barbeque and marinade recipes. Again, this type of honey is a great replacement for artificial sweeteners but with the added twist of a more herbal scent and a more delicate, mild taste everyone seems to enjoy. Active Manuka honey is more powerful that regular Manuka honey which helps to expand the ways that it can be used. Active Manuka honey has a Unique Manuka Factor, or UMF, of 16+ or higher. This rating makes Active Manuka honey useful for soothing skin abrasions as well as helping to treat acne and problem skin. Active Manuka honey also has a creamier, more caramel-like taste than other types of Manuka honey, making it ideal for sweetening teas and replacing sugar in dessert recipes. With the many different types of raw honey on the market today, it can sometimes be difficult to choose one that will serve you best. Depending on what you desire to use Manuka honey for, any of these choices would be great to add into your daily routine or your cooking regimen. To see our full line of Manuka Honey products, click here.